Indian Air Force (IAF) has been put on the highest level of readiness since Operation Parakram in 2001. READY FOR ACTION: An IAF plane takes off from somewhere in the Western Sector. The level of readiness has been raised to ‘Passive Air Defence’ (PAD). The high alert is in response to heightened perceptions of air attack on Indian positions. All IAF aircraft have been armed with bombs and missiles and are ready to take off within minutes. Even the warships of the Western Naval Fleet are aggressively patrolling the Arabian Sea. Above: INS Tabar. 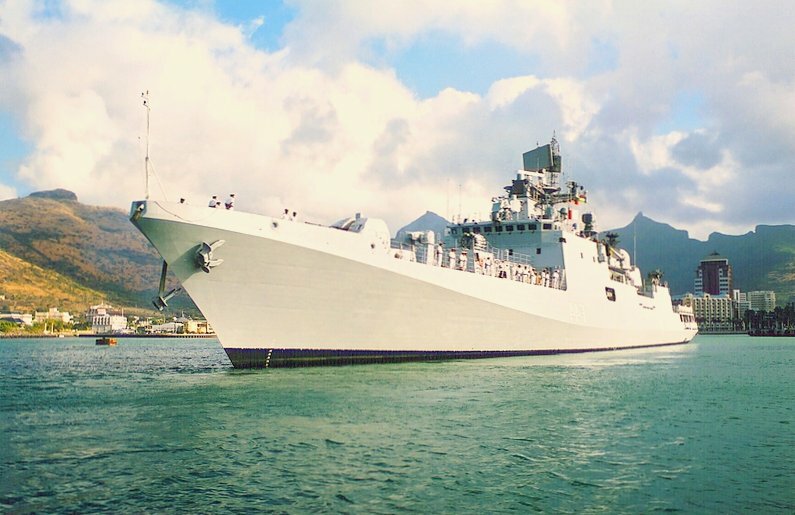 India has a modern, capable Navy. The alert has been sounded in view of intelligence reports of air strikes at Indian installations from across the border or an aerial attack by terrorists groups based in Pakistan. However, the alert is still defensive in nature and intended to protect Indian targets. You are currently browsing the archives for the defensive category.